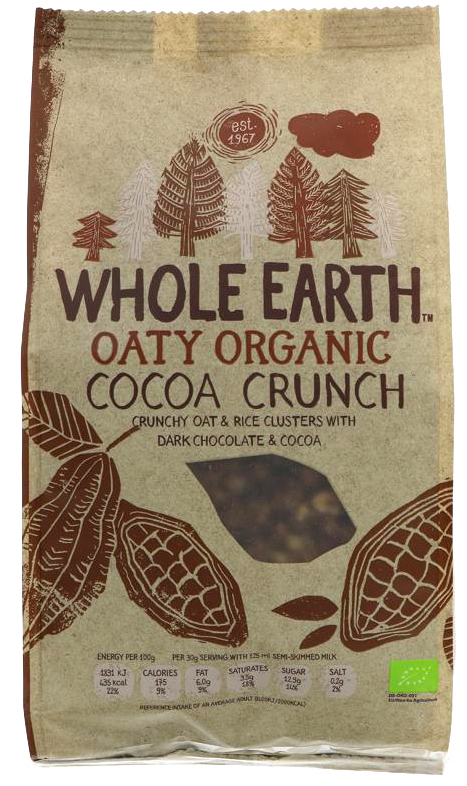 This Cocoa Crunch cereal from Whole Earth is a fabulously tasty mix of crisp chocolaty clusters of oats and rice, that will leave you wanting another bowl every time. The organic ingredients are totally free from artificial additives which simply leaves more room in your bowl for the yummy cocoa crunch! 375g. Made in a factory which handles soya, sesame seeds, milk & nuts. 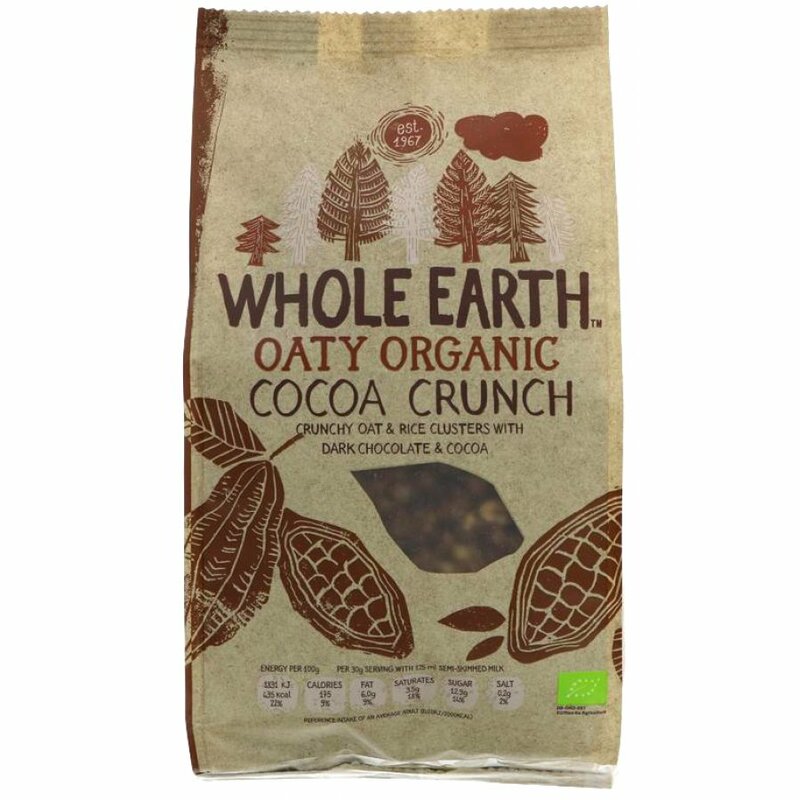 The Whole Earth Organic Cocoa Crunch 375g product ethics are indicated below. To learn more about these product ethics and to see related products, follow the links below. Theyâ€™re not bad - could do with more crunch. There are currently no questions to display about Whole Earth Organic Cocoa Crunch 375g.